The DP83822 is a low power single-port 10/100 Mbps Ethernet PHY. Itprovides all physical layer functions needed to transmit and receive data over both standardtwisted-pair cables or connect to an external fiber optic transceiver. Additionally, the DP83822provides flexibility to connect to a MAC through a standard MII, RMII, or RGMII interface. The DP83822 offers integrated cable diagnostic tools, built-inself-test, and loopback capabilities for ease of use. It supports multiple industrial buses withits fast link-down timing as well as Auto-MDIX in forced modes. 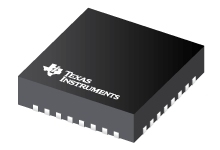 The DP83822 offers an innovative and robust approach for reducingpower consumption through EEE, WoL and other programmable energy savings modes. The DP83822 is a feature rich and pin-to-pin upgradeable option for theTLK105, TLK106, TLK105L and TLK106L 10/100 Mbps Ethernet PHYs. The DP83822 comesin a 32-pin 5.00-mm × 5.00-mm VQFN package.